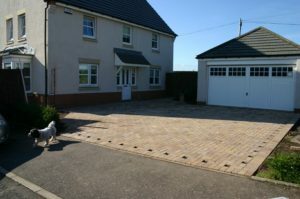 We removed the existing tarmac driveway and turning areas, replacing the areas with Marshalls Driveline Vintage block paving “bracken”, we increased the grass area for the toddlers to play on, also we secured the front garden area with Forest Hampton fence panels and created a new double-set of driveway gates using the Hampton fence panels. 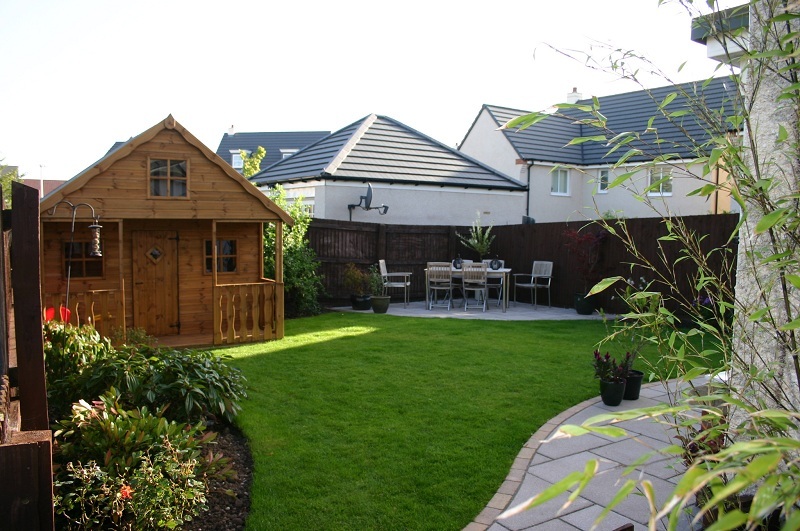 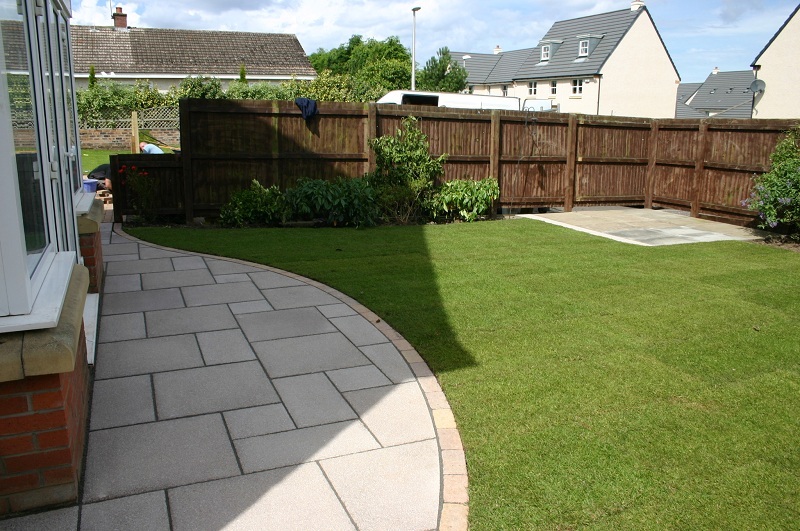 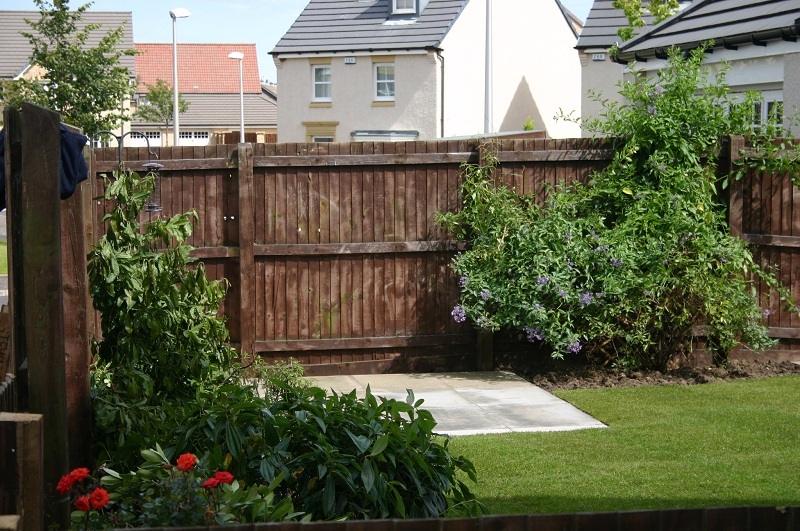 “To all at Direct Garden’s a big thank you for the work you carried out. 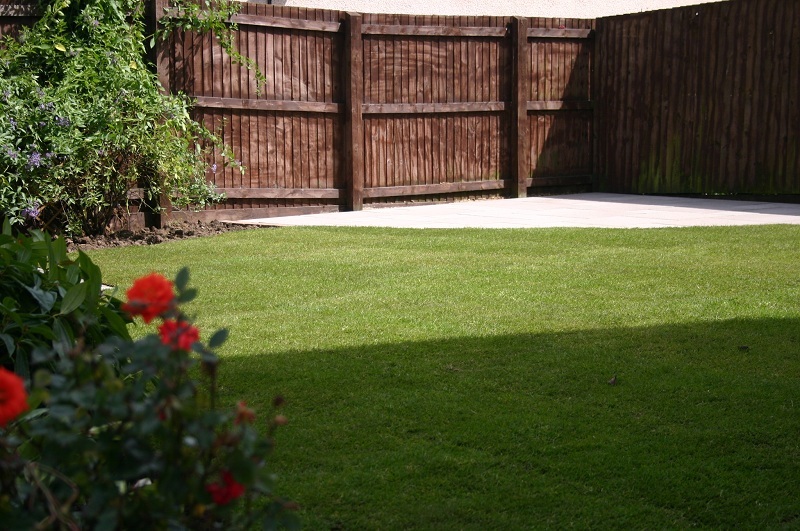 From start to finish I felt the project was carried out very professionally. 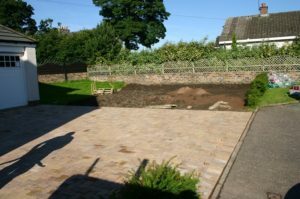 From the initial consultation with Dave I felt like Direct Garden’s had a very good approach and the vision we were looking for. 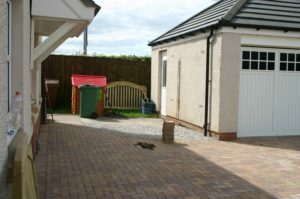 I found Neil and the guys that worked on the project really hardworking and very nice to deal with. 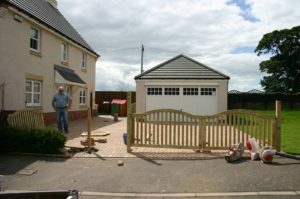 The project was all finished on time and to budget. 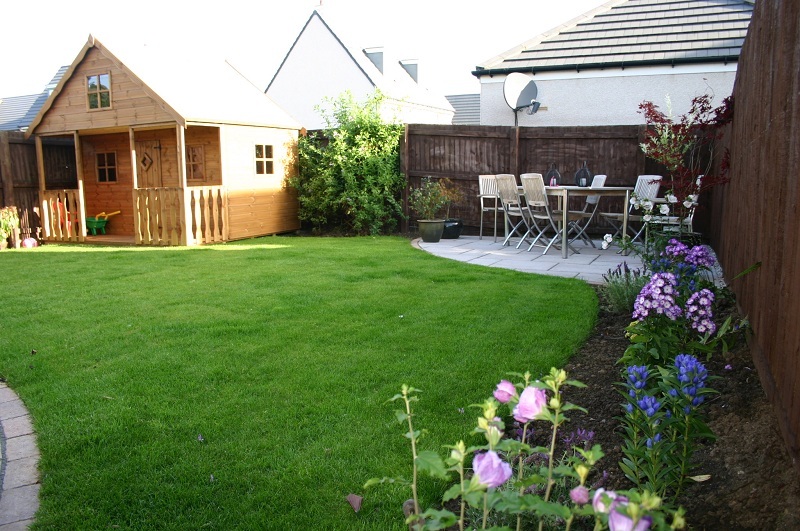 We are now really enjoying the garden and it has changed the way we use the space completely. 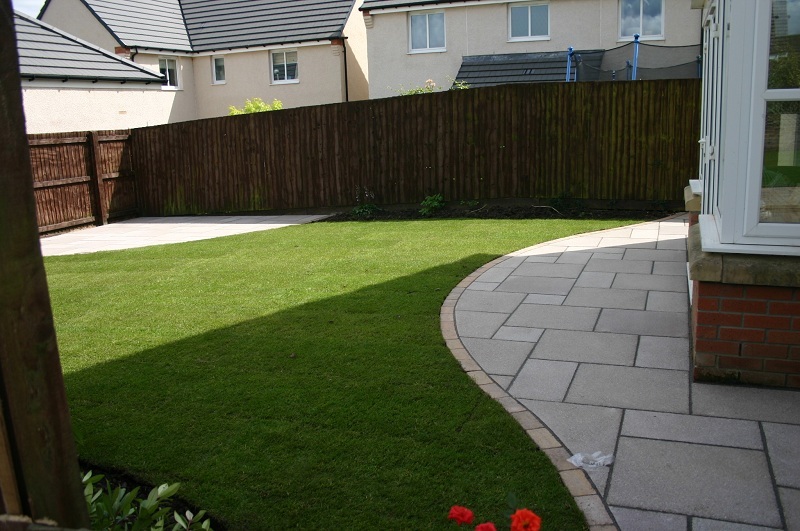 I would recommend the company to anyone needing landscaping work done.